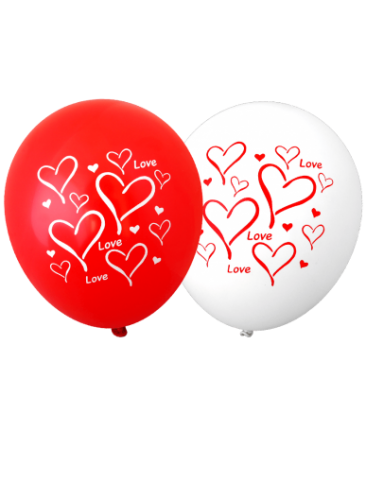 Romance Balloons Online|CALL 1300 720 230 NOW! 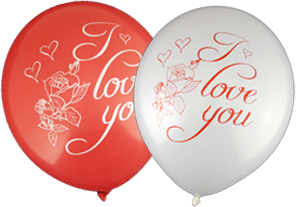 Let your special someone know how you feel with our 30cm - "I Love You" latex Romance Balloons! Perfect decorations for Valentine's Day parties or events. Helium quality, pre-printed latex balloons. Our pre-printed balloons are made from *100% Biodegradable Latex. Fill them with air for a classic look, or use helium to make them float – see our balloon and party accessories. All our latex balloons are made from 100% biodegradable latex and helium quality balloons.